Women living with human immunodeficiency virus (WLWH) have a higher risk of cervical cancer than women without HIV. In addition, women in India experience a high burden of death from cervical cancer. 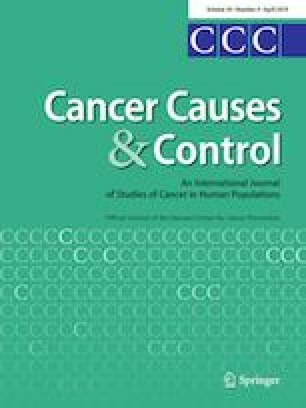 This qualitative study evaluated individual and interpersonal factors influencing cervical cancer screening among WLWH in Surat, India. In-depth interviews were conducted with 25 WLWH and 15 stakeholders in Surat, India. Data were analyzed using directed content analysis to identify individual and intrapersonal barriers and facilitators. WLWH lacked knowledge and reported being afraid of cervical cancer and cervical cancer screening but were interested in learning more about it. Interpersonal factors influencing cervical cancer screening included receipt or lack of instrumental and emotional family support, interactions with healthcare providers, and receipt or lack of information about cervical cancer and the Pap test from healthcare providers. Widespread public education is necessary to increase awareness of cervical cancer and cervical cancer screening and to encourage family members to support women who wish to obtain screening. Patient- and provider-focused interventions may facilitate the process of providing cervical cancer care to WLWH who are obtaining care in busy public healthcare systems in India. This study was funded by the San Diego State University’s University Grants Program. Research reported in this publication was also supported by the National Cancer Institute of the National Institutes of Health under award numbers: U54CA132384 and U54CA132379. The content is solely the responsibility of the authors and does not necessarily represent the official views of the National Institutes of Health. The authors would like to thank all patients and stakeholders who took part in the interviews, as well as the many individuals who assisted with facilitating the study.